Are You Cutting Back on Salt? World Salt Awareness Week on 20-26th March is a good time to focus on how much salt you are eating and the effect it is having on your body. Table salt provides sodium which is vital for life. Sodium is actively pumped in and out of cells, in exchange for potassium. This maintains the electrical potential that allows muscles to contract, your heart to beat and your brain to send electrical messages via the nervous system. In fact, pumping sodium in-and-out of your cells is one of the main energy-consuming processes in the body and is estimated to account for a third of your daily energy needs. A certain amount of salt is essential for good health. Our ancestors evolved on a diet providing just 1 gram of salt per day, but the use of salt in processed foods has boosted average modern consumption to around 10 grams of salt per day. This ten-fold rise in sodium intake is blamed for the rise in blood pressure that can occur with age. Your kidneys can only process a certain amount of sodium, and gets rid of some of the excess by excreting it into the urine in exchange for potassium. If you eat too much sodium, or too little potassium, your kidneys can’t keep up and sodium accumulates in the body. 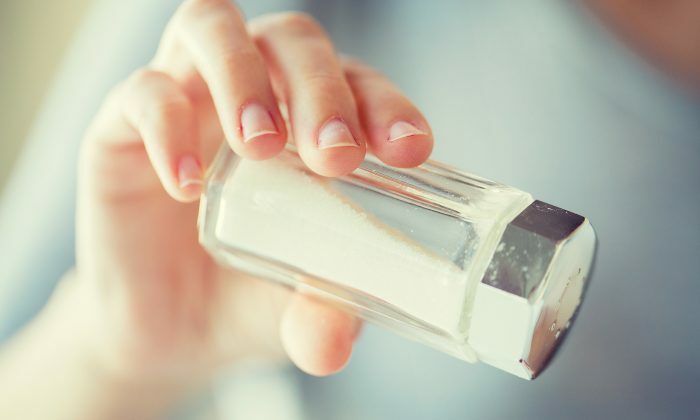 If everyone cut back to no more than 3 grams of salt per day, this could reduce the number of strokes by a third and the number of heart attacks by a quarter. Because sodium is actively pumped out of your cells, most is found in the so-called ‘internal sea’ that bathes your tissues—including the blood. In order to stay dissolved, sodium attracts water and the more salt you eat, the more fluid you retain. And the more fluid there is in your circulation, the more your blood pressure rises. Excess salt also has a direct toxic effect on cells, and can cause increased thickness (hypertrophy) of the left ventricle of the heart, so it pumps less efficiently, and also contributes to hardening, narrowing and stiffness of the arteries. New research also suggests that high intakes of salt can accelerate cell ageing by shortening the protective caps (telomeres) at the end of our chromosomes. This effect even occurs in teenagers who eat high amounts of salt. Researchers estimate that if everyone cut back on their intake to no more than 6 grams of salt per day, this could prevent as many as one in five heart attacks and strokes. If everyone cut back to no more than 3 grams of salt per day, this could reduce the number of strokes by a third and the number of heart attacks by a quarter. Salt (sodium chloride) is added to food to enhance its flavor, retain moisture and as a preservative to prolong shelf life. It works well as the bacteria and molds that spoil foods such as fish and meats cannot survive in salty environments. Most dietary salt is hidden in processed foods such as canned products, ready-prepared meals, biscuits, cakes and breakfast cereals. Bread—some loaves contain as much salt per slice as a packet of crisps. Breakfast cereals—as well as containing high amounts of sugar, some brands also have a high salt content to balance the sweetness. Tinned soup—can contain as much soup per servings as two slices of pizza. Cheese—most hard cheese contains more salt per serving than a bag of salted crisps. Stock cubes—are so highly concentrated that half their weight may consist of salt. Check labels, and to select the brand containing the least salt. If a label gives salt content as ‘sodium’ simply multiplied by 2.5 to get the table salt content. For example, a product containing 0.4 grams of sodium is equivalent to 1 gram of salt (sodium chloride). As a general rule, 0.5 grams of sodium (1.25 grams of salt) or more per 100 grams of food (or per serving if a serving is less than 100 grams) is considered a lot of sodium/salt. Some foods are more salty than sea water, which contains 2.5 grams of salt per 100 grams of water! 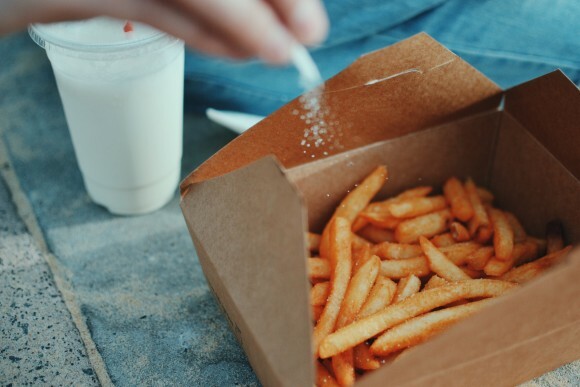 And foods containing high levels of salt often don’t taste excessively salty—especially if you are used to eating a lot of salt as your taste buds become less sensitive. stock cubes and yeast extracts. 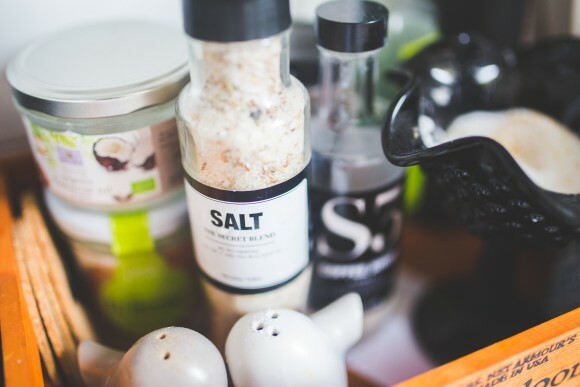 Check food labels and select brands with the lowest salt content. Food may taste a little bland initially when cutting back on salt as it takes up to a month for your taste buds to regain their full salt sensitivity. Add flavour with herbs and spices. Adding lime juice to food also stimulates your tastes buds and increases their sensitivity to the taste of salt (as tequila drinkers know!). Where salt is essential, use mineral-rich rock salt rather than table salt, or use a low-sodium, higher-potassium brand of salt sparingly. Potassium helps to flush excess sodium via the kidneys and can help to lower a high blood pressure. In one study, people taking medication for high blood pressure were able to reduce their drug dose by half (under medical supervision) after increasing the potassium content of their food. Good sources of potassium include seafood, fresh fruit, vegetables, juices and wholegrains. Find out how to follow the low-salt, Mediterranean-style DASH diet to help lower your blood pressure naturally here. 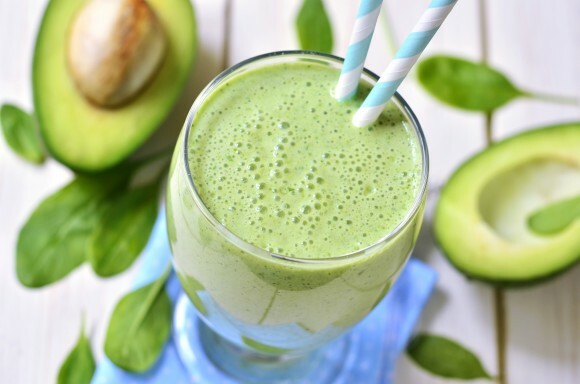 And discover 25 foods that can lower your blood pressure naturally here. Dr Sarah Brewer is a medical nutritionist, nutritional therapist and the author of over 60 popular health books. Follow her Nutritional Medicine blog at www.DrSarahBrewer.com, her blood pressure advice at www.MyLowerBloodPressure.com and her health product reviews at www.ExpertHealthReviews.com. For nutrition and recipe tweets follow @DrSarahB and for general health and fitness tweets follow @DrSarahBHealthy.